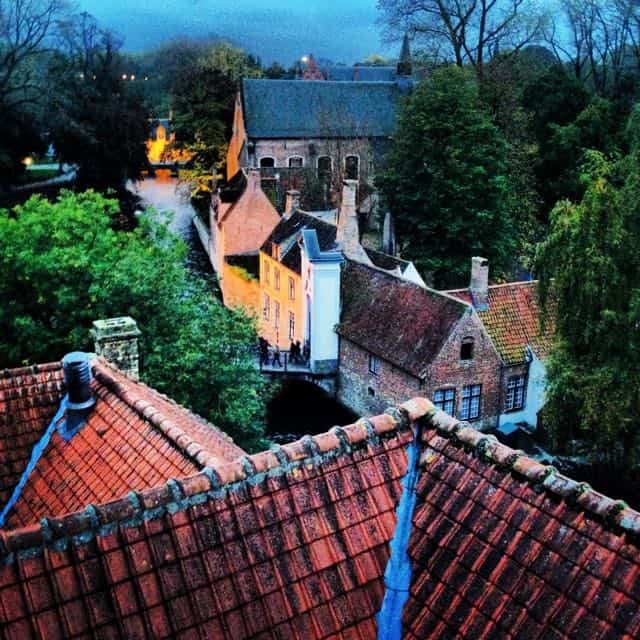 Bruges isn’t necessarily the top of every wanderlust bucket-list but it should be. 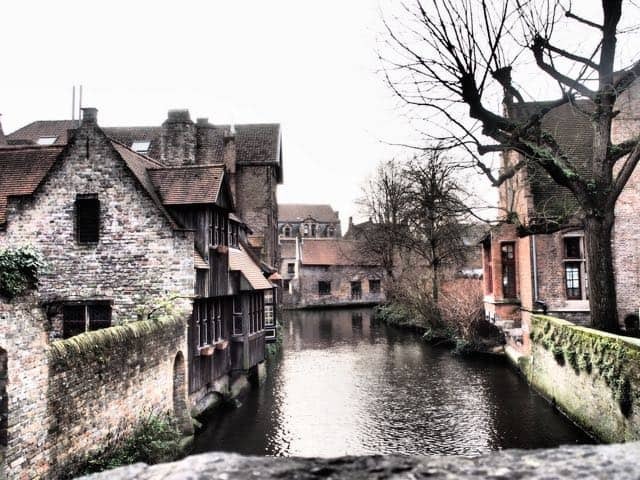 I’ve been lucky enough to visit Bruges on a number of occasions and every time I do I fall in love with it that little bit more. Why? 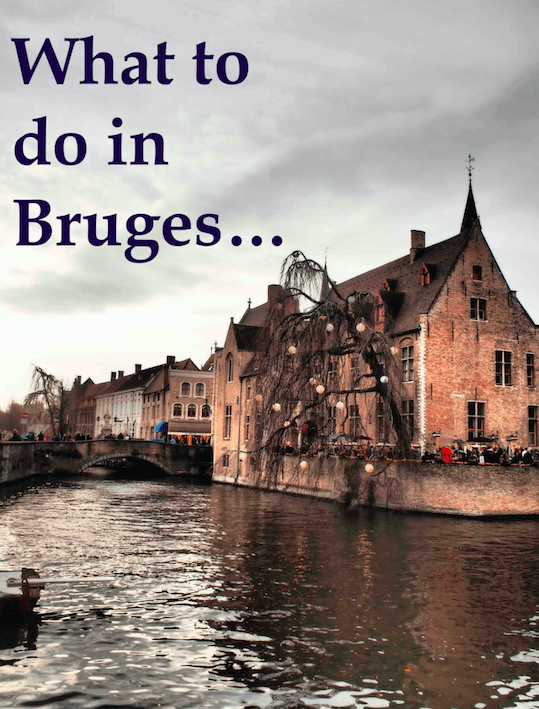 It’s easy to get to from the UK, you don’t need to tick off a list of sights and it’s home to some of the best beer and chocolate in the world…what’s not to love about Bruges?! And it’s superbly picturesque with every turn worthy of it’s own photo stop so I am hoping this post will have everyone wanting to book onto the Eurostar immediately. 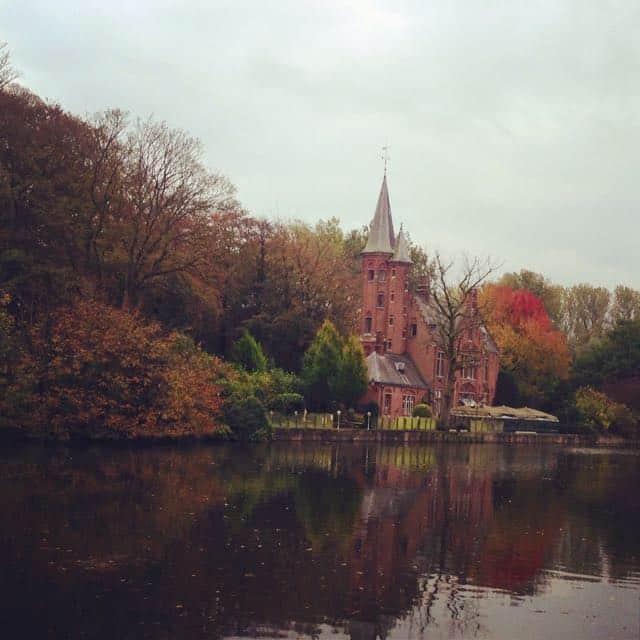 By train: The easiest way from London is on the Eurostar; with just a 2 hour train time from London St Pancras to Brussels Midi it’s then a short 50 minute local train journey to Bruges. 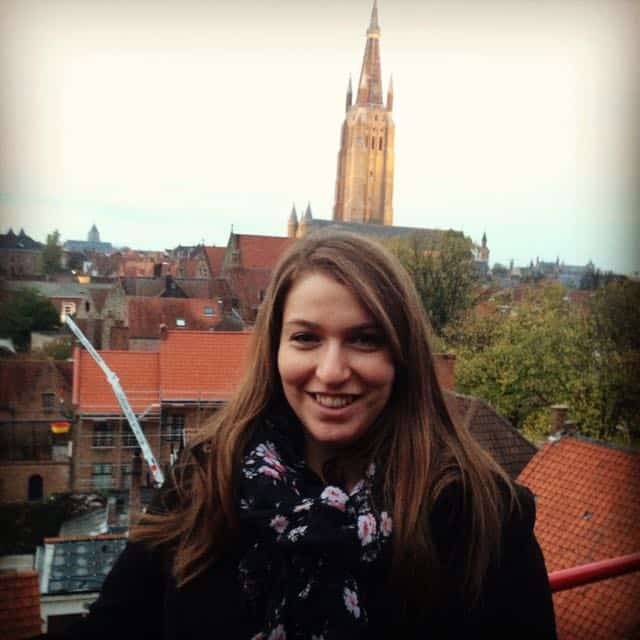 I found lots of helpful advice on this journey from The Man in Seat 61 and if you make sure when buying your tickets on Eurostar you select the ‘To/From Any Belgian Station’ option you won’t have to buy an additional ticket for use on the local train. By boat: If you live within decent proximity of Hull in the North of England then getting a mini-cruise is an ideal option for an easy way into the city as the ferry comes into the port area Zeebrugge which is a short 20 minute taxi ride from central Bruges priced at €50. There are cheaper options such as taking a tram and a train but these take more time and effort and if you’re on a tight turnaround to get back to the ship you may want to maximise the time you have and take the taxi. By plane: Plenty of options here with regional flights from Scotland, and both the North and South of England to Brussels. It’s then a train from the airport to get to Brussels Midi where you’d pick up the same route as the local train in the Eurostar option. Unless you’re staying really far out of the centre the easiest way to get around is by foot; the majority of restaurants, bars and the handful of sights are all within walking distance. It’s an easy walk from the train station but if you’ve got cases you may want to take a taxi like we did, for the four of us at €10 this was a no-brainer. 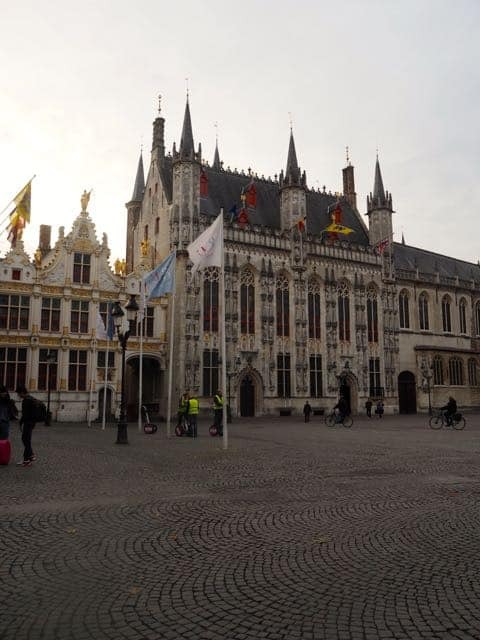 On my last visit to Bruges I stayed in an apartment with friends booked through Booking.com (not available through them anymore sadly) called the Green Loft which was an ideal base for a larger group except for the slightly odd shower which is just placed in one of the rooms. This means you either need to be super comfortable with your travelling companions or have rules on entering that room when anyone is in the shower! 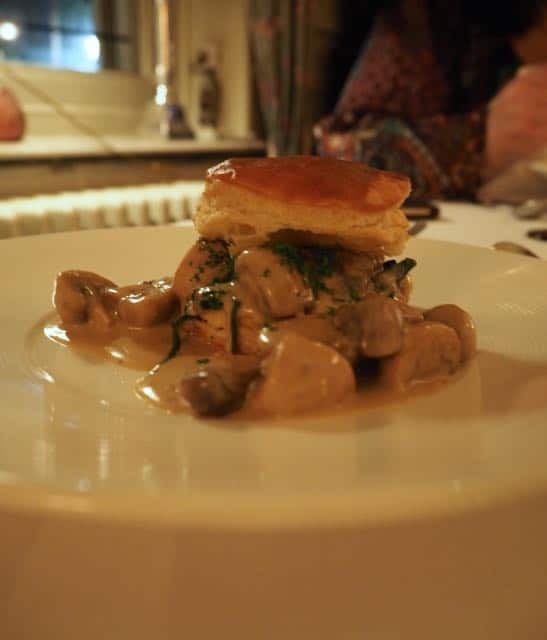 This time my experience was completely different as I stayed at the Grand Hotel Casselbergh; a beautifully luxurious central hotel which was perfect for a relaxing and romantic break. 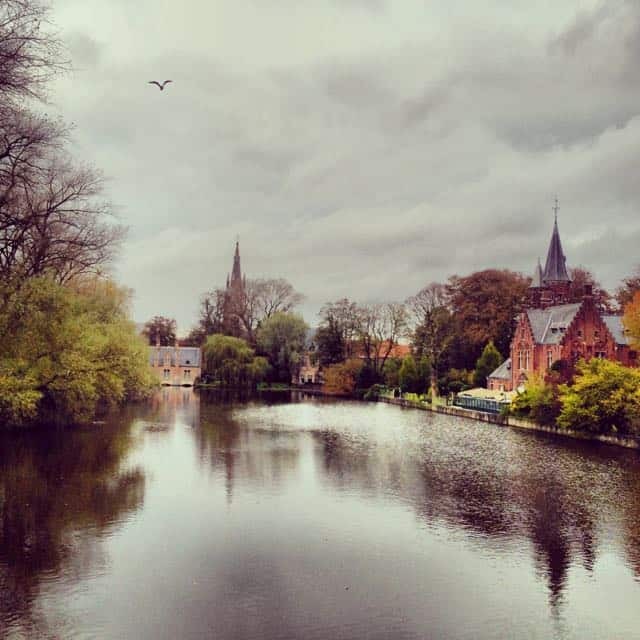 You don’t have to come to Bruges with expectations of doing a whole host of sightseeing, each time I’ve been I’m quite content with walking around and just marvelling at how beautiful it is. 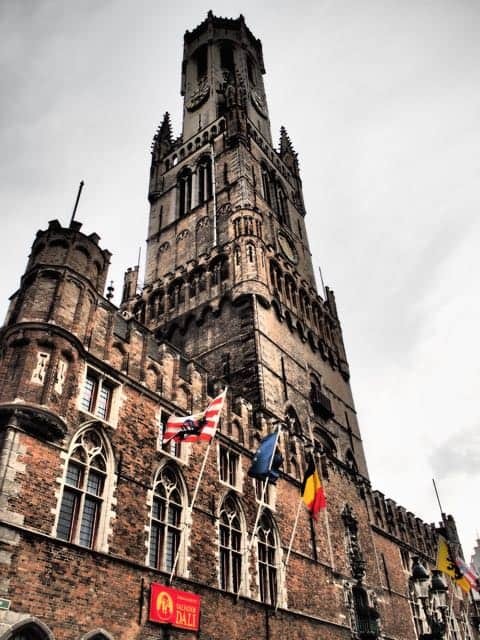 However there are some must sees; the Belfry is obviously the standout here not just for its size but because it is such an emblematic symbol of Bruges. 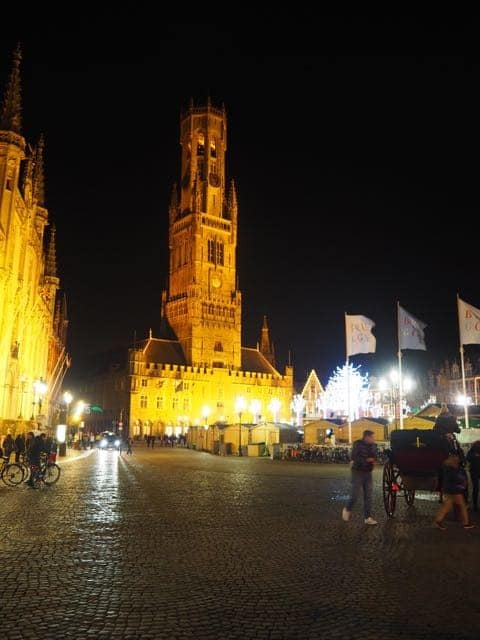 The canals, pretty squares, chocolate shops and beer are the other major draws and walking around you won’t miss any of them. The Basillica of the Holy Blood is alleged to house a venerated relic of the Holy Blood and is a stunningly gothic church to look at both from the outside in the Burg square but also from the inside. 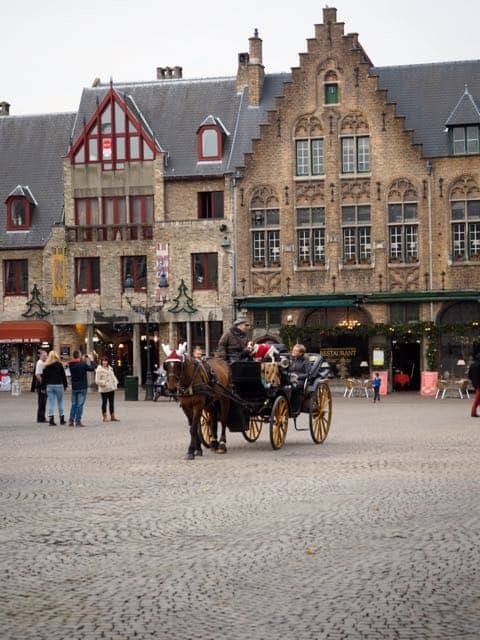 In order to get your bearings on your first day I would recommend a structured tour such as a free walking tour like ‘Legends of Bruges’ or for those not wanting to walk and if the weather is a bit off then the City Tour mini-bus takes you to some really interesting points in the centre of Bruges that you might not find on your own. 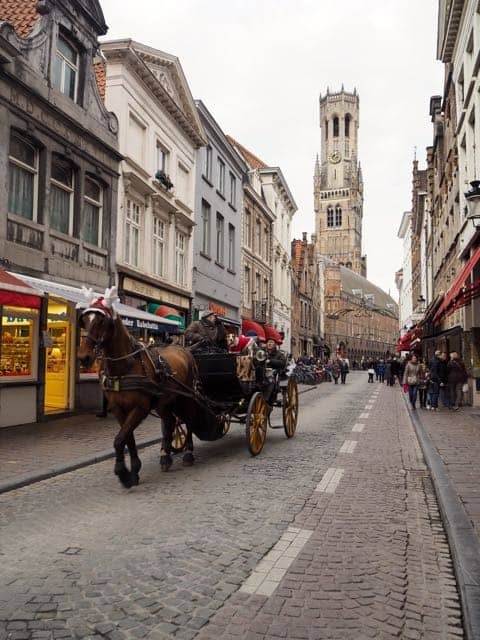 Alternatively you could opt to see Bruges from a different perspective on one of the canal boats that can be boarded at different points in the centre or in the back of a horse-drawn carriage available from the Markt Square (where the Belfry is). 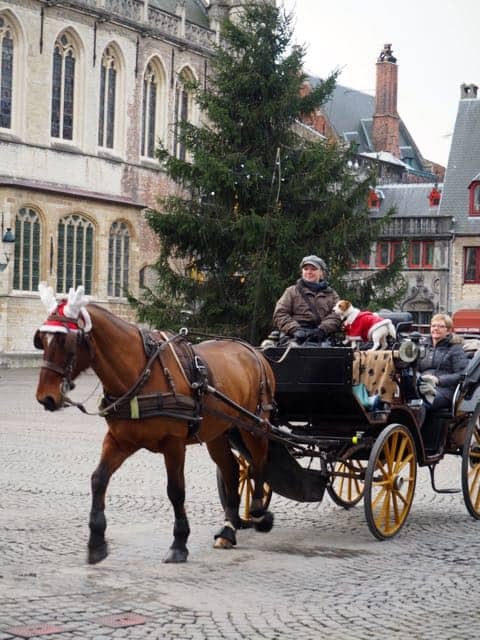 Of course you don’t have to do any of these as Bruges is perfectly compact enough to get around yourself and armed with a smartphone or travel guide you could easily guide yourself! 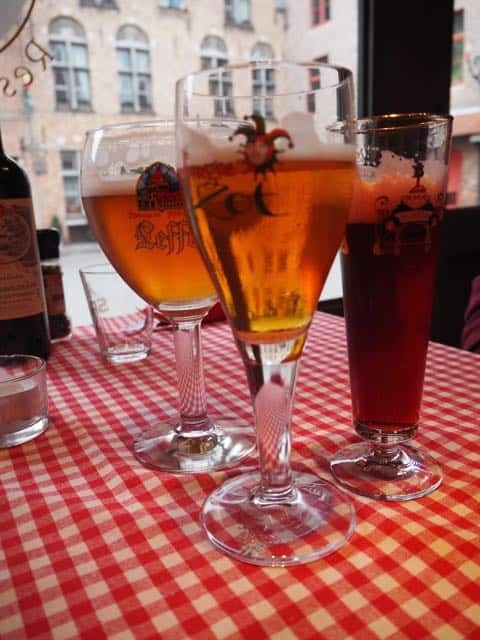 You have to make sure you sample some of what Belgium has to offer in the way of chocolate and beer. 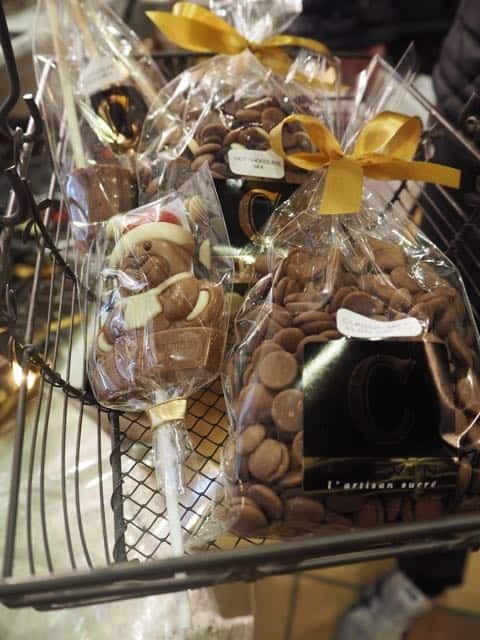 I will start with the chocolate; you may just want to eat chocolate and if this is the case then you will find a larger number of shops where you can sample the different offerings. My favourites are Dumon, Moeder Babelutte and The Chocolate Line all of which are within walking distance of the Markt. 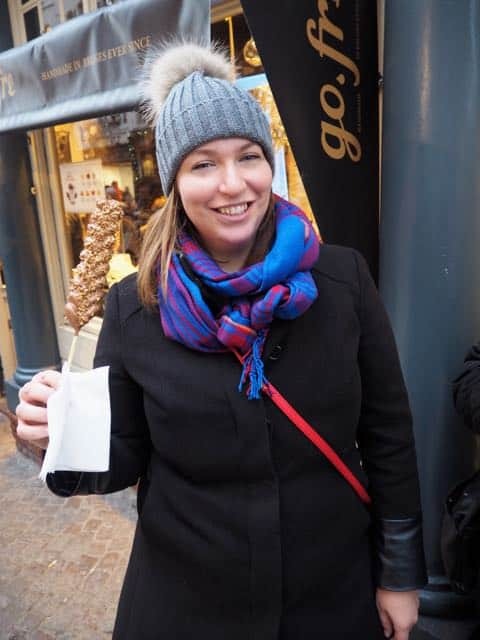 If you fancy your chocolate with something on the side then whilst in Belgium you should of course pair it with another local delicacy: the waffle! Again there are so many options to choose from but the waffles on a stick from Go.fre just off the main Markt square were too good to pass up being equally delicious and portable with limited mess! 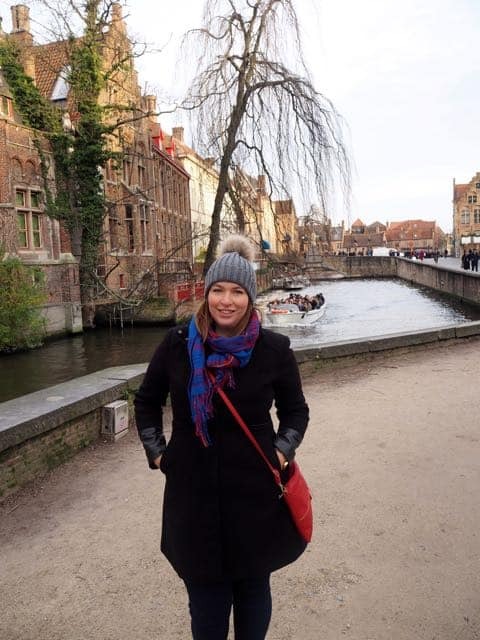 I am not ashamed to admit I had once each day we were in Bruges on my last visit! 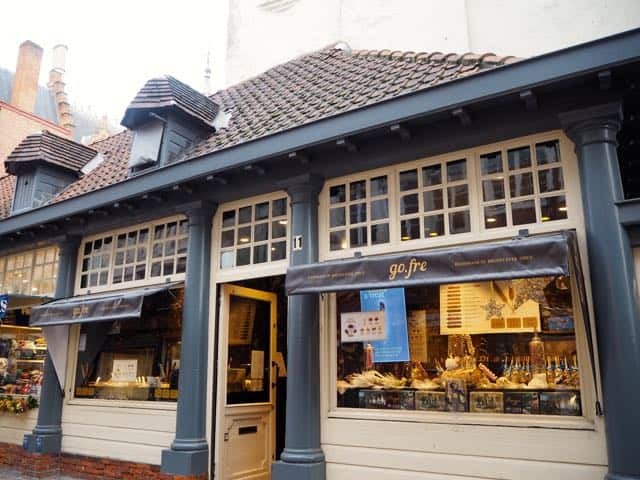 To see how all chocolate becomes ready for eating then you may want to visit Choco-Story, Bruges’ chocolate museum. I wouldn’t say it’s a must do but if you’re up for finding out a little bit more about the chocolate making process then you’ll probably enjoy it. 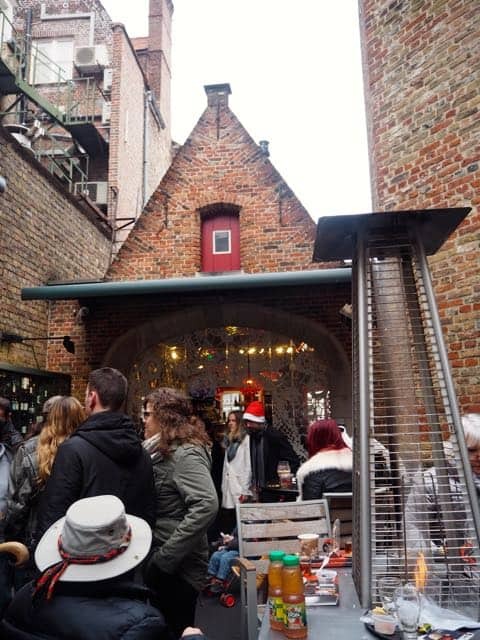 Similarly if you’re into beer or not that bothered about the taste but find the process of making beer interesting then you may want to visit the De Halve Maan Brewery where you can take a tour of one of Bruges’ most famous breweries and taste some of it’s own Bruges Zot at the end. De Halve Maan is the own family run brewery still in operation in central Bruges and the tour ends with an impressive panoramic view of the whole of Bruges from the rooftop. 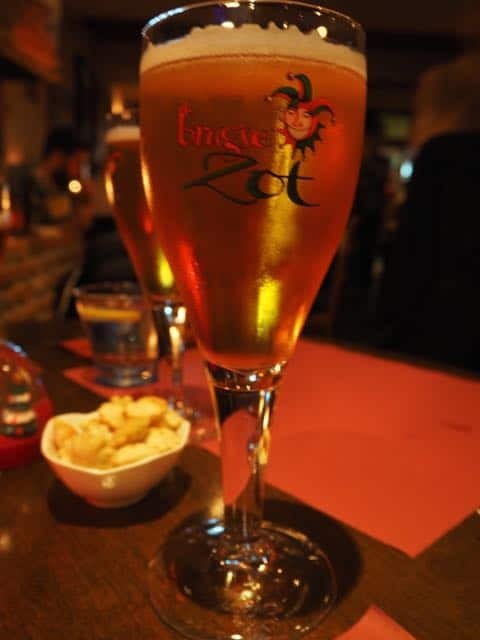 If you’re still in the mood to taste more beer then there are of course countless bars and restaurants where you can sample all that Belgium has to offer but one of the funnest ways to find out what type of Belgian beer you might like is at the Beer Wall. 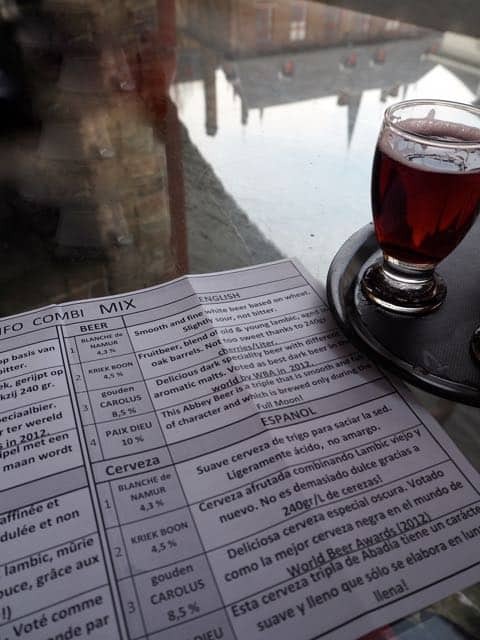 For just €10 you get a selection of 4 different beers (dark, blond or mixed – make sure you try the coconut!) 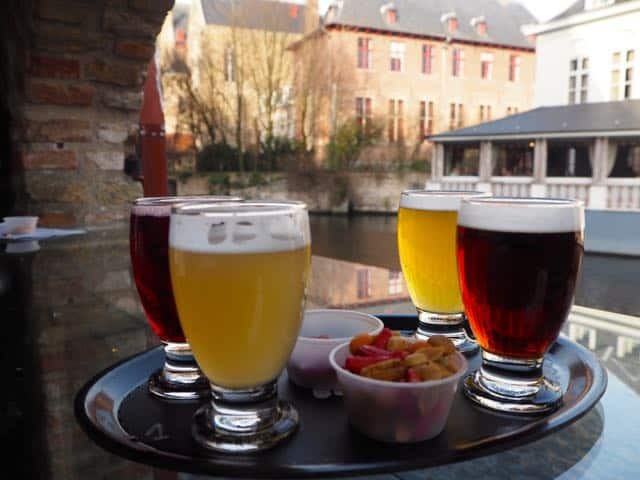 snacks and a pretty impressive canal-side view, you can also head back to the bar and try any of the other 14 beers on draught and maybe get an extra pint of one of your favourites. 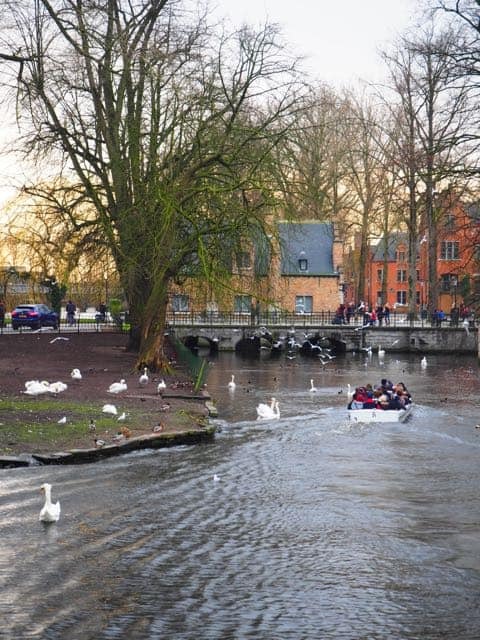 After a few drinks in the afternoon it’s a perfect time to go for a stroll around Bruges’ lake, Minnewater to make sure you are ready for a few more in the evening! 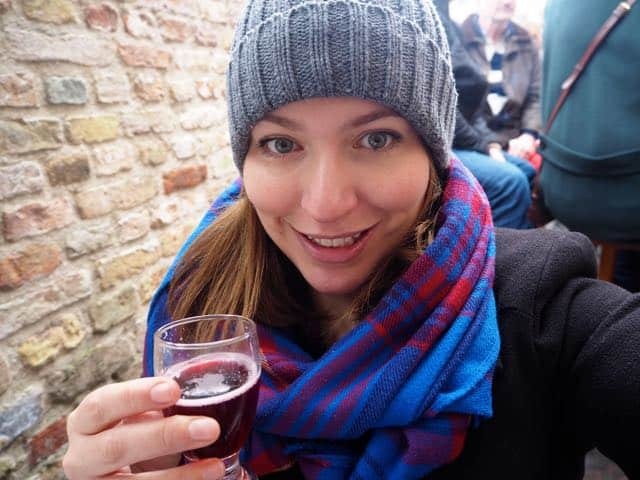 Having been to Bruges before and after raving onto people about what brilliant food I’d eaten in the city I was keen to return and show off the discoveries I’d made in my previous visit. 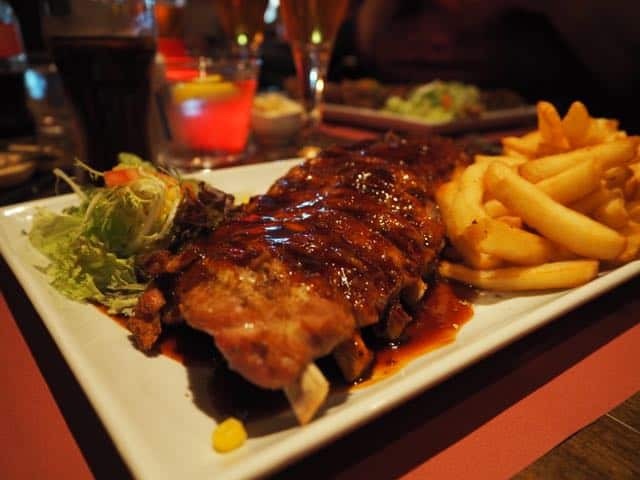 The first place I had to return to was the epically awesome Ribs n’ Beer home to some of the best slow cooked ribs I have ever tasted. I am so happy to report they tasted just as good the second time round and did I mention it’s all you can eat so the staff will keep the ribs coming out to you if you wish! 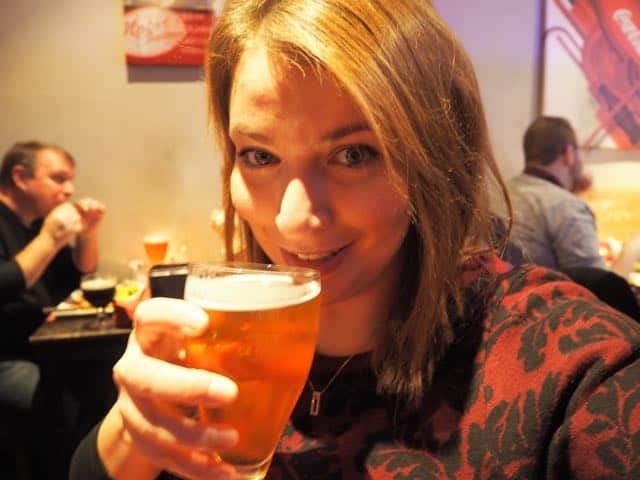 I whole heartedly recommend the house sauce, a mix of beer and chocolate it’s so delicious and nothing like you would expect it to taste it’s not too sweet nor too bitter but rich and velvety. 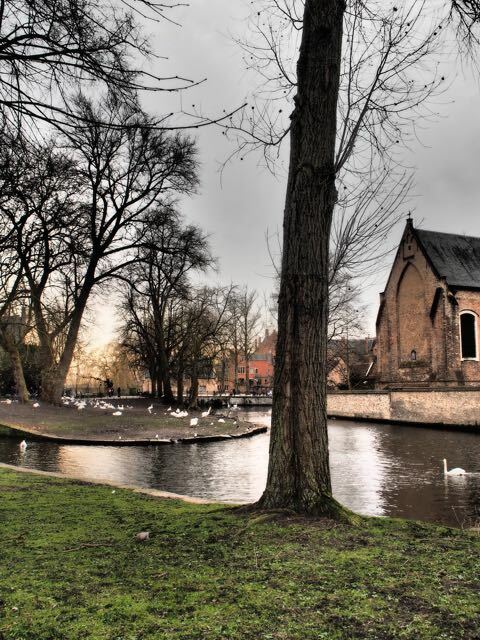 Another must do on my list for Bruges was to visit the best restaurant in the city, Park. 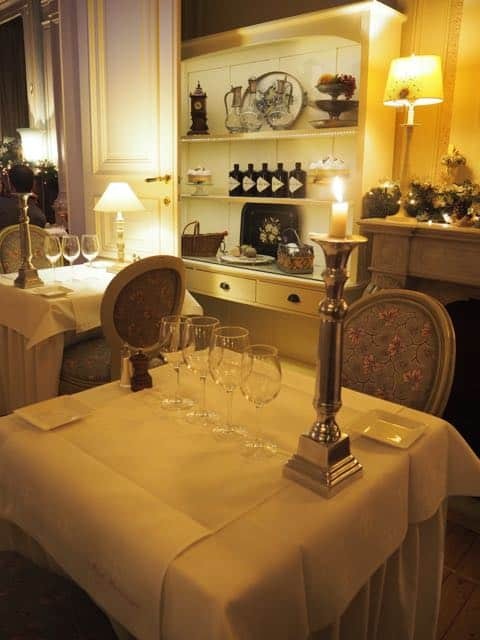 There are two options for dining at Park Restaurant; there is the €75 menu where wine is included alongside each of the 4 courses, otherwise it’s €45 without wine giving you the chance to try some of the Gin on offer. 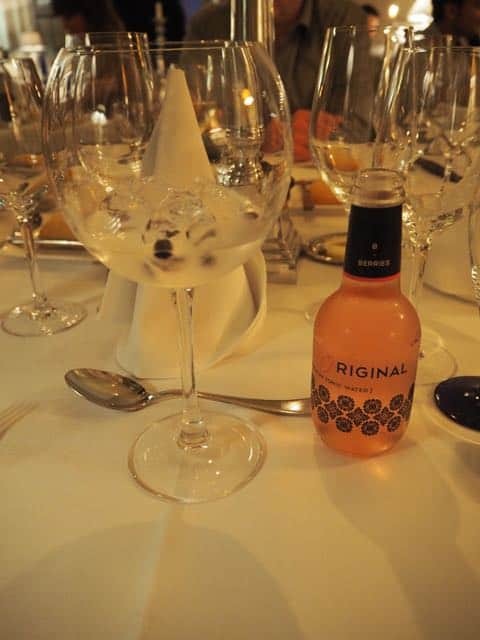 Axel the owner prides himself on his selection of high quality gins each partnered perfectly with a different tonic to compliment. 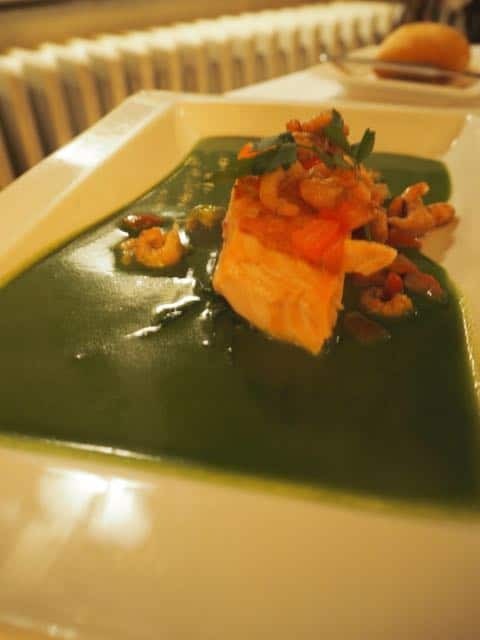 Axel runs the restaurant with his brother Frederic who is the Head Chef and the pair have carved out a reputation as offering some of the best traditional fine dining in Bruges. 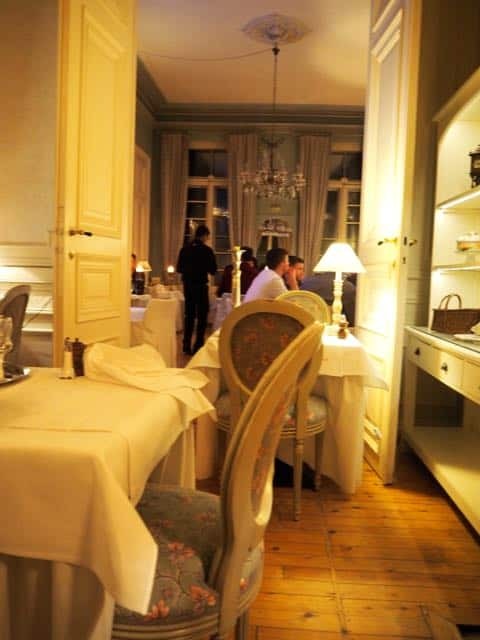 Our whole experience at Park was exemplary; both Axel and Frederic take time to talk to their guests, the 19th Century townhouse is a perfect backdrop to the 4 courses and you really feel like you are fine dining with the impressive chandeliers and high vaulted ceilings. 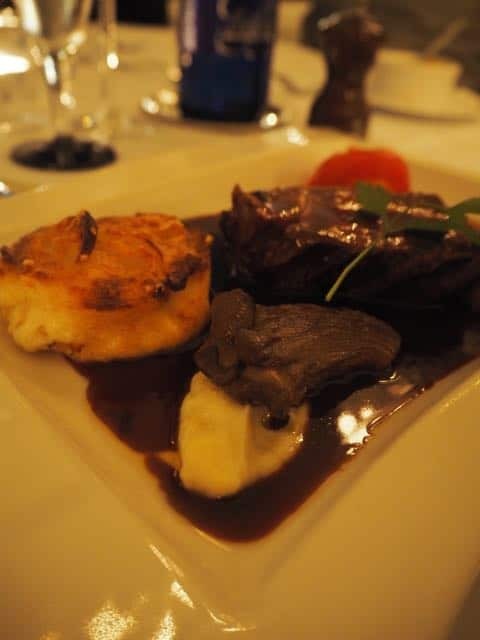 The food is of course fantastic and there wasn’t anything to fault with any of our dishes. I just wish I had ordered the same dessert as my Mum, the Grand Marnier Souffle ice-cream is not to be missed! 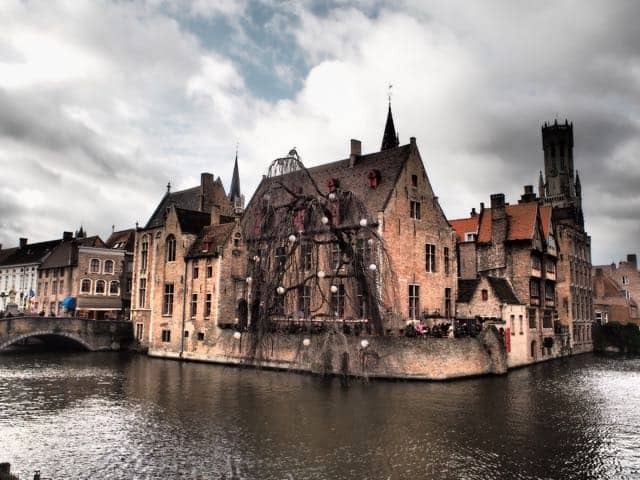 Bruges could be visited alongside other Belgian cities such as Ghent and Brussels but I really hope to return to Bruges again soon, it’s an easy break from London and one that doesn’t require too much planning or forward thinking. 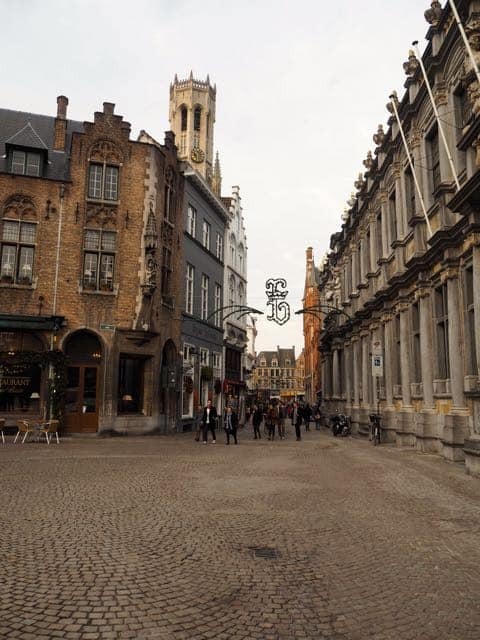 The beauty of Bruges is easy to see from just walking around and I find that you can actually relax into your time without the pressure of ticking off a sightseeing list. It’s a no fuss, stress-free city break with some great options for drinking and dining and I hope you enjoy it as much as I did if you visit. 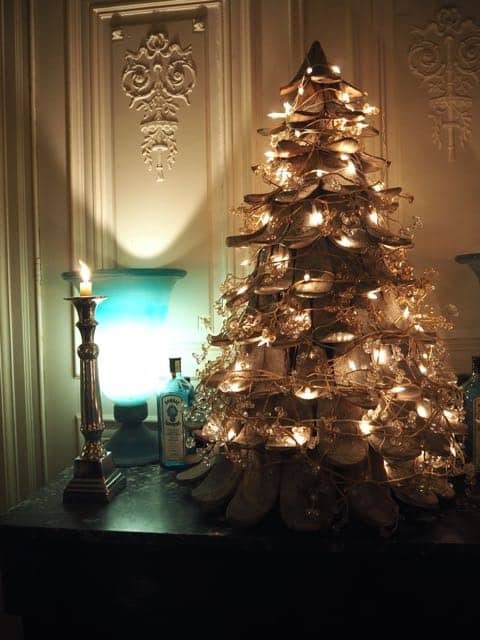 It’s beautiful isn’t it…and all the chocolate is just an added bonus! Thanks Sara! I’ve been working on my photography so that means a great deal! 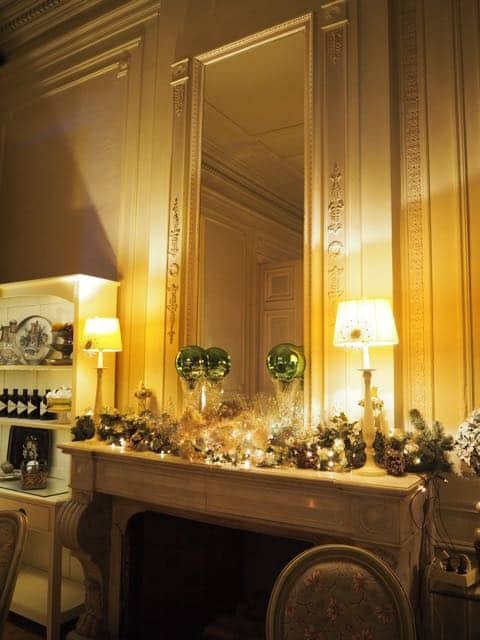 It is a great place to spend a weekend and not too hard from Paris either, where are you based now? Hopefully you get a little trip booked in soon?